Market research is a vital necessity for running a profitable business. Along with evaluating how well products or services will be accepted by consumers, research data also provides critical information about keyword competition and terms people use when searching online. There are several ways to conduct market research. The type of method used depends on the kind of information you want to gather. For instance, do you want to figure out which groups of people are interested in the products offered by your company? Or, do you want to determine if a new product will be well received? Maybe you’re more concerned with acquiring data about the advertising your target market prefers. Or, maybe you’d rather evaluate overall customer satisfaction. Regardless of what you need to find out, conducting research about your niche market will help you discover the answers. Search marketing helps companies assess which keywords are used most often by online users. This type of research can be performed in various ways. A few tools that make the job easier include programs like WordTracker, WordPot, and Google AdSense. Search marketing is especially important to companies that operate an online business. To write effective sales copy and have content indexed by search engines, it is vital to understand the keyword phrases people use when searching for the product. Online surveys are an ideal way to determine if consumers are interested in new products and services. There are numerous companies that make it easy to setup online survey forms. A few of the more popular include Zoomerang, Vovici, and SurveyBuilder. Consumer survey forms can be presented on business websites and blogs, digital newsletters, and social marketing networks such as Facebook. Focus groups are an ideal platform for in-depth product examination. Participants are usually compensated for their time and opinions. Companies bring in a small group of people to discuss their thoughts about products. Sessions usually last a few hours to talk about the pros and cons, marketing concepts, pricing points, and other topics of importance. Consumer Focus groups are also a good way to get inside the heads of your target market. Understanding their mindset, buying habits and lifestyles let companies obtain a better understanding of how products will be received in the marketplace. Putting together a quality focus group takes a lot of work. Most owners find it smarter to hire marketing agencies to handle the task. Consumer survey companies can pre-screen participants that match demographics of your business and provide an experienced focus group moderator. Anyone that plans to start a business needs to conduct market research to evaluate competition and figure out the best ways to advertise. It’s a good idea to obtain competitive analysis reports and learn about the kinds of ads used by competitors. Online marketing advertising is extremely popular but does require careful planning to maximize exposure. It’s recommended to work with an Internet marketing coach or hand over projects to an agency experienced with online strategies. 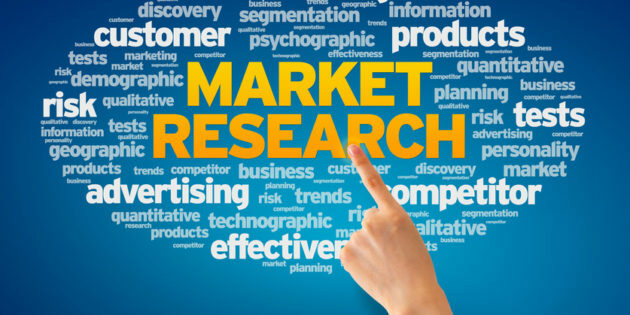 Taking time to conduct adequate market research can save time and money. It can also yield surprising results that can help boost sales revenue. Sign up for our blog updates and never miss a post. We will send you a FREE ebook as a thank you.